One of the most common concerns we got from android phones is that it has a low internal memory which limit us from installing great apps for our phone, this is especially true to low end android phones (e.g. Galaxy Y, Alcatel 918N, Galaxy Mini and much more) wherein they only have around 512 MB available internal memory or lesser. As a workaround we do have an option to move our apps to the SD card, but this can be very tedious and sometimes it will still left a lot of data in the internal memory and worst its not even compatible for some apps. To fix this problem, today we are sharing an app and a guide on Link2SD, Link2SD is an app that uses a secondary partition on your SD Card and uses it as another part of internal memory. Link2SD moves and links all the crucial parts that composed the app -- (with that said this app will depend on the size of your SD card and class as a slow SD card will result to slower response in pulling an app, if you are interested to get a new SD card or know more info about your card, please refer to our guide here). The great thing about this is that these linked apps remain available when your phone is connected in mass storage mode (or connected via USB cable) as Android only unmounts the first partition. 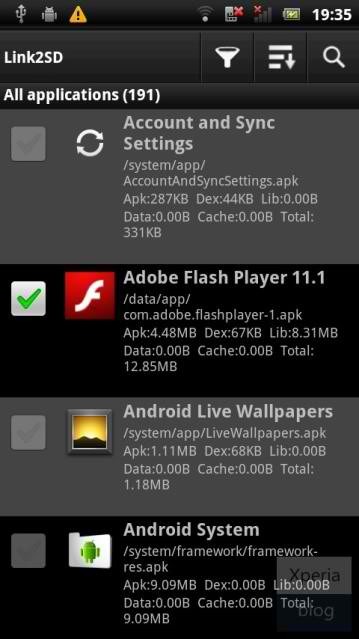 Second, apps will load faster compared to standard apps being moved to SD card as the second partition is formatted with Linux system (ext partition) where Android phone is originated and since we are moving most part of the app to a different partition, in return we are saving more space from our internal memory. Link2SD allows you to select which apps or games to move to the SD card with a very friendly user interface, it also has an option to auto-link new installs and will also re-link new apps if updated without you doing anything.. We’ve been using Link2SD for a while now and it’s the best system app so far for Android, especially for gamers like us where we tend to download a lot of games. If you’re constantly managing your internal memory we highly recommend you give Link2SD a try, see the full guide below. Install the necessary drivers for your phone, this can be achieved by installing the software of your phone manufacturer, for example with Samsung Galaxy phones, just install Samsung Kies and follow the necessary steps until your phone is connected to your PC. Download and install MiniTool Partition Wizard onto your PC or laptop. 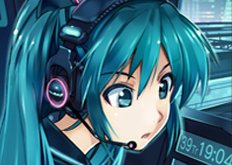 Install Link2SD on your phone via Google Play or you may download it here. Since we will re-partition your SD card, we suggest you back up every important files before attempting to re-partition your SD card. To backup your SD card, just connect your phone to your PC and create a folder and copy all the necessary files or all the files if possible. Note: USB mount is strictly not advisable, use a card reader. If you don't have any then use a mobile which is not an android, Nokia as for example, you may re-partition from your phone directly but this might lead to data corruption and possibly lost all your information on your SD card. 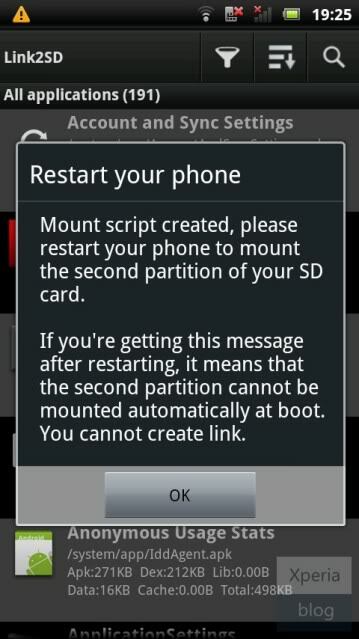 Switch your mobile off, remove SD card. Insert it into card reader and then to USB port. In order to avoid reformatting your current SD card, just make sure it has an available space for the second partition, for example if you will create a 512 MB secondary partition which will serve as your internal memory extension, make sure you have around 700 MB space or more on the current SD card. 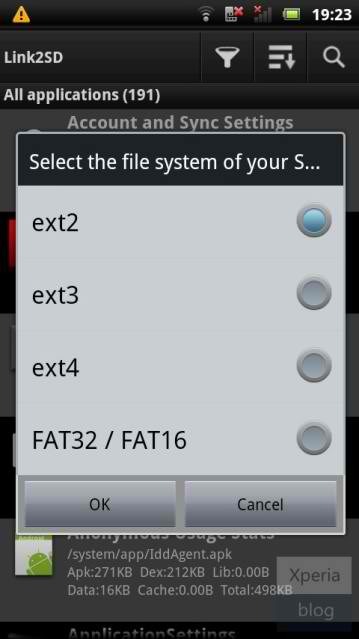 Launch MiniTool Partition, right click on your SD card and select Move/Resize, add your desired unallocated space, e.g. 512 MB. Right click on the unallocated space and select format -- choose ext3..
After successful partition, run a check disk on your SD card by going to My Computer / Computer, right click on SD Card, select 'Tools' and select 'Check Now' under error-checking to ensure your SD card is in good performance. 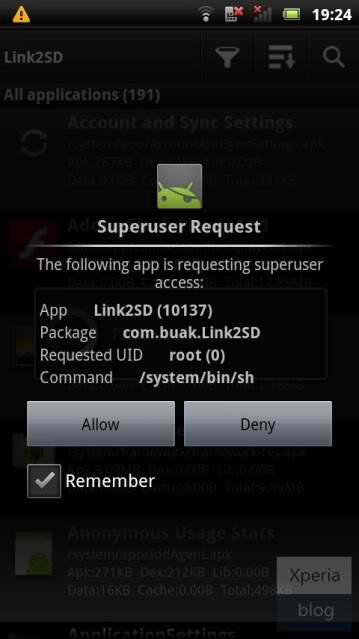 This application makes it easy for users with root privileges on their phone to move applications to the SD card. a) Open the Link2SD app on your phone. You should be greeted with the following menu, check the ext3 option and click OK.
You will then see the Superuser Request, click ‘Allow’. Once you see the following message, restart your phone. The app should now be ready to use. b) To make sure everything is installed correctly. Click the Menu button and go to ‘Storage Info’. This will show you the internal memory and your two partitions on the memory card. In our case, you can see that the second partition has 1GB free. 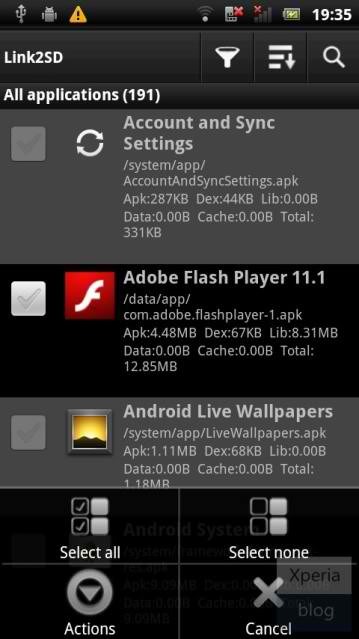 c) Now you need to move the apps of your choice to the memory card. Click the Menu button and press ‘Multi-select’. Choose which apps you want to move by clicking the tick box next to the app. System apps are greyed out and cannot be selected. 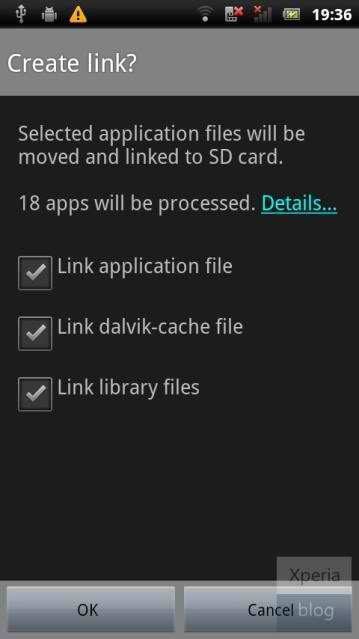 Link2SD can only move apps that are already on the internal memory. If you have apps already on your SD card, you will need to move them back to the internal memory before you can link them with Link2SD. If you want to move all of your apps, pressing the menu button will bring up another menu allowing you to do this. d) Once you have chosen which apps you want to move, you then need to hit the menu button and press ‘Actions’, which will bring up the following menu. Press ‘Create Link’. 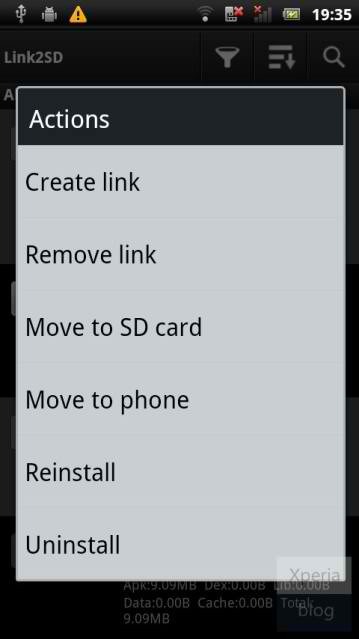 Leave all three check boxes ticked and press OK. Link2SD will now do its work and move/link the selected apps to your memory card. 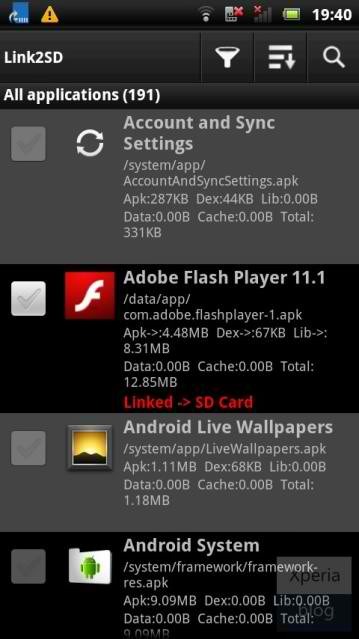 Once finished, you should see that the apps you have moved have ‘Linked -> SD Card’ in red font in the Link2SD app list. Reboot your phone. e) Congratulations your phone is now using Link2SD! You should now go to Settings by pressing the menu button and configure how you would like Link2SD to work. 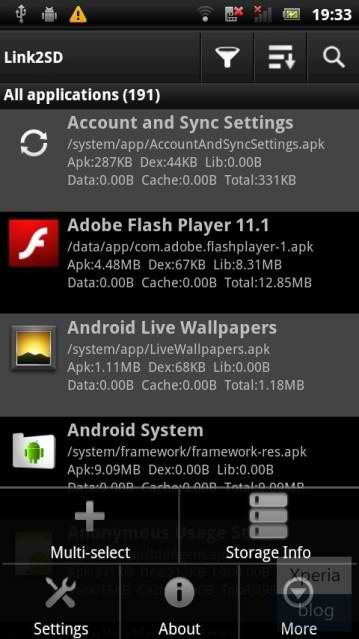 The main decision here is whether you want to Auto Link newly installed apps to the memory card. Given that you’ve gone through the hassle of installing Link2SD we suggest you enable Auto Link and make worrying about your internal memory a thing of the past. Disclaimer: This will serve as an educational guide only, any issues that will result in improper re-partitioning of your SD card is at your own risk. Hence Hyperion won't be liable for any issues that you might encounter, if in case you need further assistance, please feel free to leave a comment or send us a message. Thank you.